Tiger Muay Thai and MMA training camp, Phuket, Thailand has close ties to XKT in South Africa. Recently, XKT owner Raymond Phillips brought out 22 of his students for a long training camp @ Tiger Muay Thai. Included in these students is stand-out Muay Thai fighter and South African Muay Thai champion Don Madge who has been to TMT 3-times over the last two years and even winning the PK-1 Title in Phuket at Bangla Muay Thai stadium and competed in the prestigious Toyota Cup last year for Tiger Muay Thai. 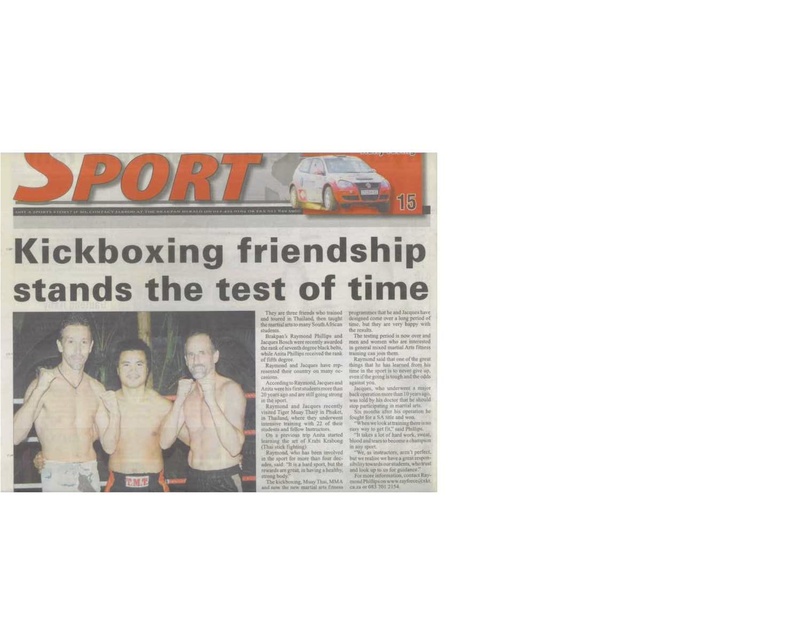 XKT and their instructors and students were recently featured in S.A. newspaper discussing XKT’s trip to Thailand and Tiger Muay Thai where the weather was hot and the Muay Thai training was traditional and hard. TMT looks forward to working on events with XKT in the future and even possibly opening a TMT branch in South Africa.